2. 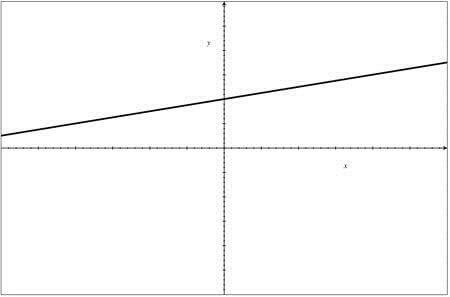 Which equation is represented by the graph shown below? 3. A function f(x)= 2×2 + 7 is defined by. What is the value of 2f(x)- 3 ? 4. A straight line with slope +4 is plotted on a standard Cartesian (xy) coordinate system so that it intersects the y-axis at a value of y = 1. Which of the following points will the line pass through? 5. A package is dropped from an airplane. The height of the package at any time t is described by the equation, y(t)= -1/2 at2 + h0 where y is the height,h0 is the original height, and a is the acceleration due to gravity. The value of a is 32ft/sec2. If the airplane is flying at 30,000 feet, what is the altitude of the package 15 seconds after it is dropped? 6. Given the equations for two straight lines, ax + 3y = 18, and 15x + ay = 24,what positive value of the constant a would make the lines parallel in the standard xycoordinate plane? 7. 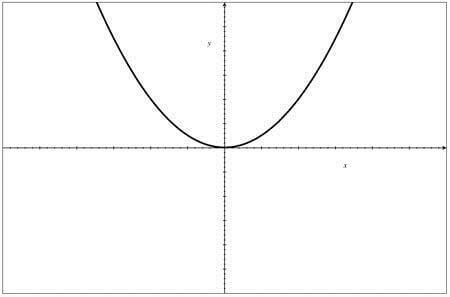 Which of the following could be a graph of the function y = 1/x ? 8. 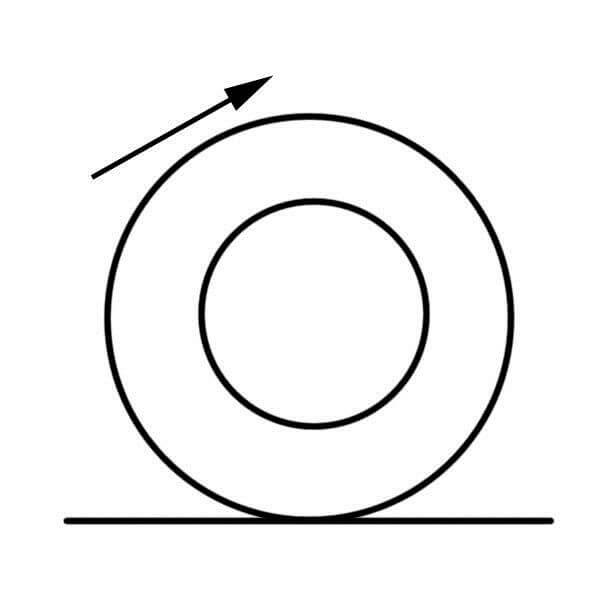 A tire on a car rotates at 500 RPM (revolutions per minute) when the car is traveling at 50 km/hr (kilometers per hour). What is the circumference of the tire, in meters? 9. Which of the following expressions is equivalent to (a+b)(a-b) ? To multiply two binomials, use the FOIL method. FOIL stands for First, Outside, Inside, Last. When multiplying each pair of terms, remember to multiply the coefficients, then add the exponents of each separate variable. So, the product of the First terms is 2a2 b*3a3b = 6a5b2. The product of the Outside terms is 2a2b*4c=8a2 bc. The product of the Inside terms is -3c3*3a3 b=-9a3 bc3 . The product of the Last terms is-3c3*4c=-12c4. The final answer is simply the sum of these four products. 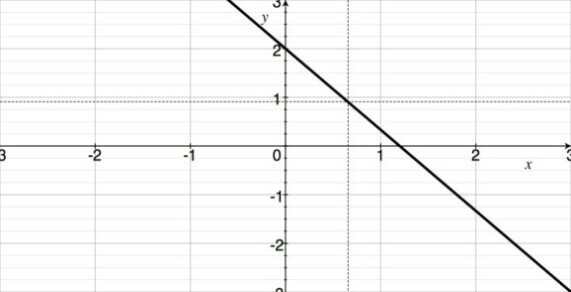 The line in the graph has a negative slope and a positive y-axis intercept, so the factor multiplying the variable x, or the slope, must be negative, and the constant, or y-intercept, must be positive. As defined, the line can be described by the equation. Expression A fits this equation: . The others do not. Since this value is unique, all the other answers are incorrect. Rearranging each equation so that it shows y as a function of the variable x, we have y=-(a/3) x+18/3 and y=-(15/a)x+24/a. The lines will be parallel if the slopes, or the coefficients multiplied times x, are equal. Therefore -(a/3)=-(15/a), which yields a2=45, and taking the square root yields a=√45. This is a typical plot of an inverse variation, in which the product of the dependent and independent variables, x and y, is always equal to the same value. 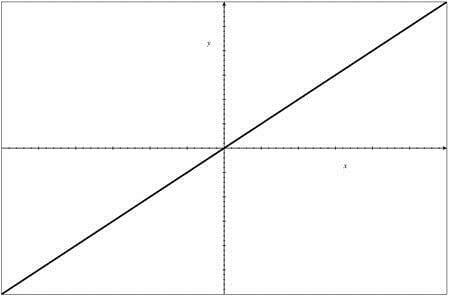 In this case the product is always equal to 1, so the plot occupies the first and third quadrants of the coordinate plane. As x increases and approaches infinity, ydecreases and approaches zero, maintaining the constant product. In contrast, answer B is a linear plot corresponding to an equation of the form y=x. C is a quadratic plot corresponding to y=x2. 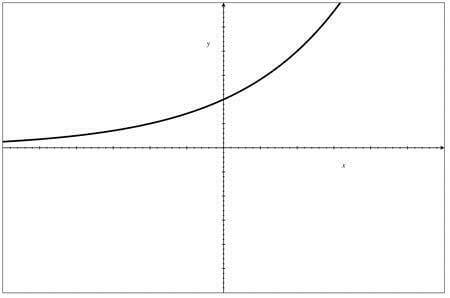 D is an exponential plot corresponding to y=2x. 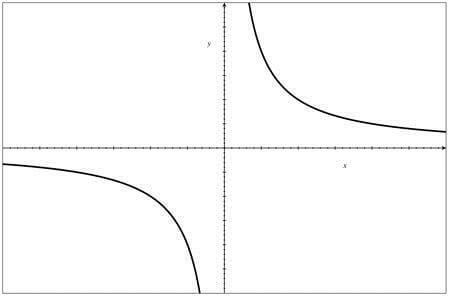 E is another linear plot corresponding to y=x/4+1 . t is not necessary to use the circle circumference formula to solve the problem. Rather, note that 50 km/hr corresponds to 50,000 meters per hour. We are given the car tire’s revolutions per minute and the answer must be represented as meters; therefore, the speed must be converted to meters per minute. This corresponds to a speed of 50,000/60 meters per minute, as there are 60 minutes in an hour. In any given minute, the car travels 50,000/60 meters/min, and each tire rotates 500 times around, or 500 times its circumference. This corresponds to 50,000/(60*500)=10/6 meters per revolution, which is the circumference of the tire. Compute the product using the FOIL method, in which the First terms, then the Outer terms, the Inner terms, and finally the Last terms are figured in sequence of multiplication. As a result (a+b)(a-b)=a2-ab+ba-b2,. Since ab is equal to ba, the middle terms cancel out each other which leaves a2– b2.